ROI or return on investment is something that every business keeps an eye on weather they market online or offline. As a small business or personal brand you are running on a tight budget. You want every rupee that you spend to generate some value. You don’t have deep pockets to promote your brand on a national level nor do you have a network of publicists to get your message across. 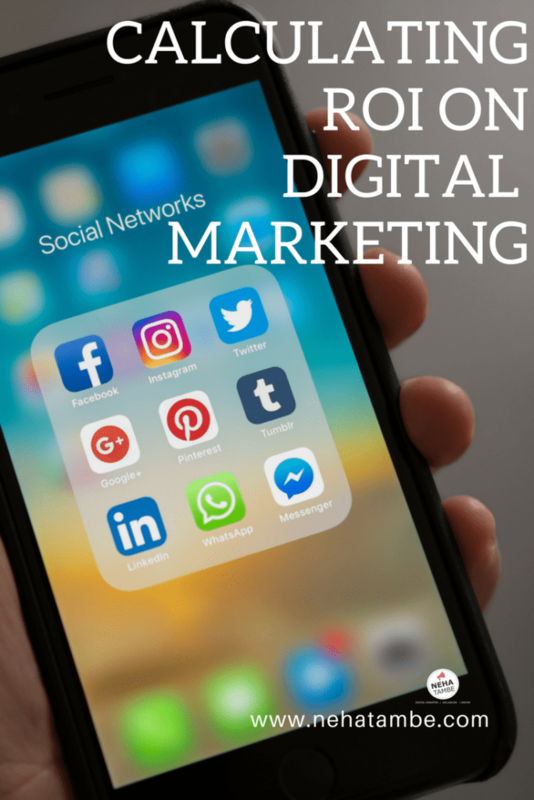 Add to it the promotion activity by your competitors, difficult to comprehend analytics, limited enquiries and you are left wondering if you are doing enough in digital marketing? When it comes to online marketing the matrix’s and ROI definition can be varying. It is tricky to measure an ROI here as it not only includes a sale but many other factors too. The Small biz trends website explains the concept really well. ROI (Return on Investment) simply means it helps you understand if you are investing your money wisely. While, they mention this in terms of investment in a start-up, the same holds true for marketing. As a small business owner or personal brand, you need to spend your money wisely and understand the matrix by which you want to calculate. It is advisable to sit with your marketer and understand the ROI that you are looking for. It is good to be on the same page. Here as a business owner you need to understand that though your simple calculation will be number of sales in a month or subscription to your services etc. You can’t directly relate every marketing activity to that conclusion. You need to see the overall picture to understand what has your investment translated into? Paid advertising avenues like Google Ad words, FB promoted ads etc. offer a calculation of conversions for the money spent. Before starting the paid campaign it is important that we determine what is it that you wish to gain from this campaign. If you are a new brand, you are looking for brand awareness, or traffic to the website. You want more people to see and understand your brand. If you have a product, that is liked by many and you have enough reviews or subscription, you are looking for conversions or some way of getting the customer into the sales funnel. Content marketing is a comparatively low cost option, however this will be time intensive and will take some time before it shows any meaningful results. You need to understand that this will work fine as a long term strategy, but if you wish it alone to give you sales, then that might not happen soon. Content marketing will give you returns in terms of SEO and link building however for a conversion to take place, it needs more brand worth and push. Social media marketing is a relatively low cost and quick turn-around form of advertising. 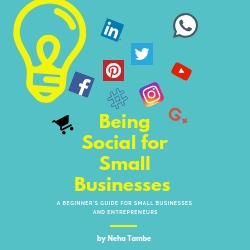 The fact that most social media networks also offer ways to grow organically, helps small businesses build their brand and gain some mileage. Again here too, the paid advertisements will offer you quick returns and something that you can measure in terms of money. The effort and time spent in cultivating and building meaningful communities that might be interested in your content is something that cannot be measured in terms of direct sales as the investment here is time more than money. 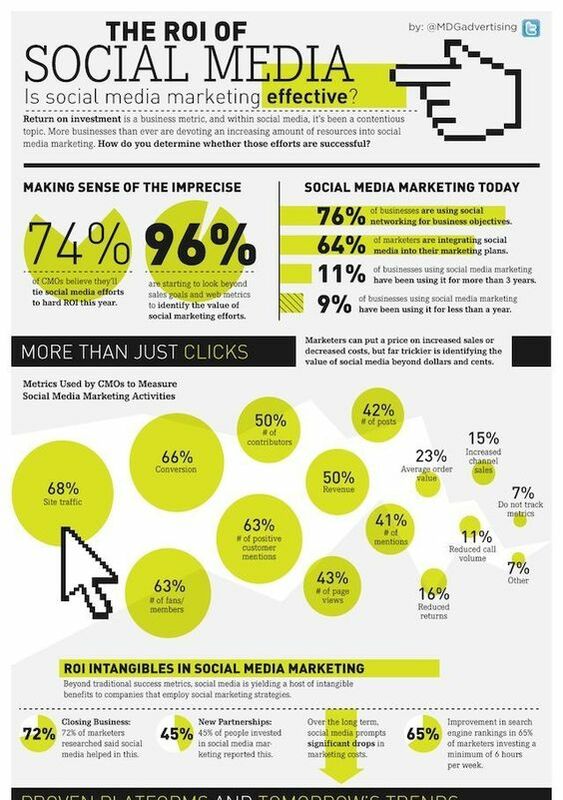 An infographic by MDG Advertising shows the ROI of social media marketing effectively. Now this itself, should be enough to take email marketing as your sole marketing channel and run with it, however it is also important to understand that email marketing too requires time and a lot of planning. The email list isn’t going to grow on its own, hence the whole list building is an effort that will be time intensive hence the ROI needs to be viewed from that angle. It is important to have an email database, but it is good to pair it with some kind of paid marketing to get better results. It also depends on what and when do you wish to sell. A mother’s day hamper email will work well if sent a week in advance, however if you have an in-store sale, higher conversion is possible via an advertisement that is targeting a local area. When you start off, you might be expecting sales by the end of one-month marketing, however that will not be the case for every business or service. Marketing expectations and building a step by step approach to return on investment will go a long way in having a great plan for online marketing. A few measurement matrix that a businessman should keep in mind when checking the value for every rupee spent is the following. If you want people to know about your brand, then number of impressions and page/post views or advertisement reach is a good measurement that you should look for. If you are promoting your website, then instead of just click-through’s also check for sessions on your site and bounce rates. This should give you an idea if your advertisement is actually working and is being seen by relevant audience. Engagement with your brand via likes, comments or direct message is an indication that your audience is interested in you and want to know more about you. They could be liking your page or a particular post. This data will help you understand their behavior and preferences. Many people land on your facebook/Instagram page and like a few things, however they want more, or want to know about something that you have announced will be offered in future. These people will follow your page. It shows their intent and interest. For small businesses this is taking the traditional way of knowing the customer and building a connect to a whole new level. Your social media channels and website act as virtual touch point’s where the customer can directly connect with the brand. Just like earlier times where a customer could directly come to the store and air his views about your product or process and expect change, the customer has the ability to do it online, without geographical boundaries. This connect should be utilized to attract genuine feedback, communicate appreciation and share news. This is a simple matrix to understand as you are tying the money spent to the number of sign-up or downloads to your courses or kits, or books or anything that you plan to sell. This will also offer you interested candidates email’s for future email marketing campaigns. So this is also another kind of ROI that needs to be considered. There could be someone who first saw your ad and liked your page, visited your website and then finally after doing relevant research about your product and competitors finally decided to buy from you. Here the sales cycle needs to be understood via collecting data and monitoring the consumer’s behavior. So a conversion could be immediate or a long process, but assigning a value to it, will help you understand how successful was your spend.